Ascension is not just a feast that happens to fall in Eastertide: it is an integral part of the Easter mystery. Remember the Lords words at the Last Supper: I am going to prepare a place for, and after I have gone and prepared you a place, I shall return to take you with me. The resurrection presumes the Lords return to the Father. This is therefore a feast of hope: our hope in the Lords return, as he went. Our hope that he will take us with him, when our bodies are raised as his was. Our hope that we will take our place in heaven, where he sits on the Fathers right. The writer is Saint Luke, and the first lines of this reading are a link between the Gospel which bears his name and this book. The Gospel dealt with everything Jesus said and did until he was taken up into heaven; Acts will tell the story of what happened next. The first paragraph is a summary of what happened in the forty days between the resurrection and today: Jesus showed himself alive to them (the Apostles) and instructed them. 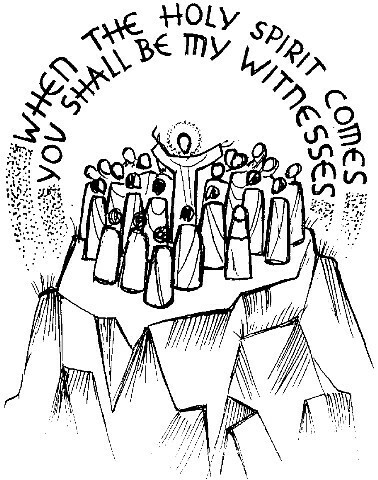 In the second paragraph they have gathered together (later Luke tells us it was on top of the Mount of Olives) to receive their final instruction  a promise of power, when the Holy Spirit will come down upon them. And with this power will come a task: to witness to all of this throughout the whole world. Then, in the mysterious last paragraph, Jesus disappears from sight, and a second promise is made: that he will return. One interesting point: this is one of only a handful of occasions when the words of the Lord Jesus appear outside the Gospel. You, as the reader, today have an even greater responsibility, because you proclaim not just the words of the prophets, or Peter or Paul, but of the Lord Jesus himself. If in your prayer and preparation you thin about this it will give your proclamation a power that will enter the minds and hearts of those listening. 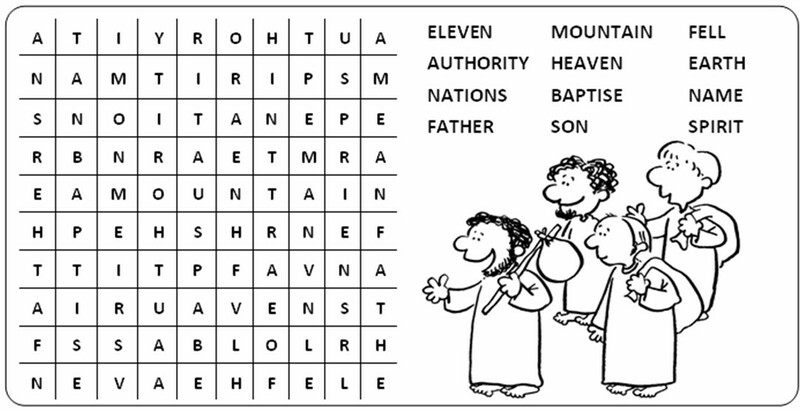 Click on the link to get this week's Gospel based Wordsearch. Feel free to copy and paste it into your parish publications.